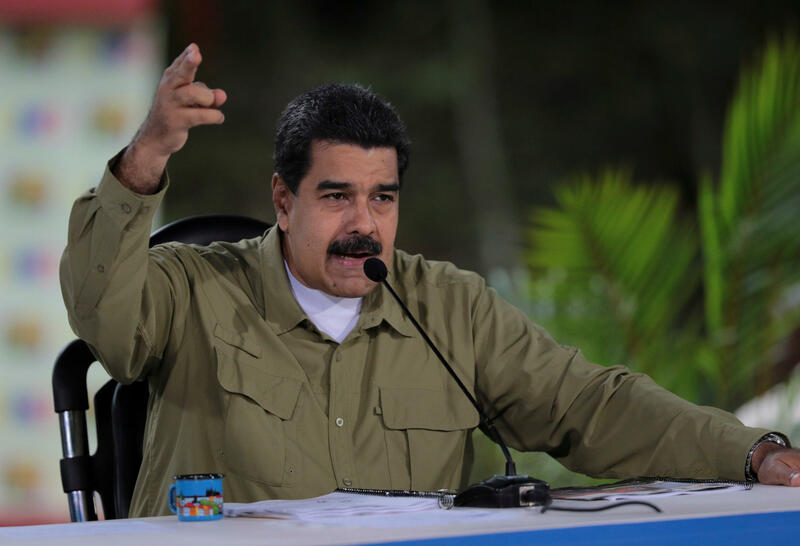 The Trump administration on Monday dismissed Venezuela's presidential election as a "sham" and ramped up economic and diplomatic pressure on President Nicolas Maduro's beleaguered government. The White House announced that President Donald Trump had signed an executive order restricting the Venezuelan government's ability to liquidate assets for pennies on the dollar at the expense of the Venezuelan people. The order, which stopped short of imposing crippling oil sanctions on the nation's economy, was the latest effort by Trump to punish Maduro's government. According to the order, the administration is taking further steps "particularly in light of the recent activities of the Maduro regime, including endemic economic mismanagement and public corruption at the expense of the Venezuelan people and their prosperity, and ongoing repression of the political opposition; attempts to undermine democratic order by holding snap elections that are neither free nor fair; and the regime's responsibility for the deepening humanitarian and public health crisis in Venezuela." When asked during a background briefing on the order what makes this "sham" election different than other sham elections that the president has endorsed or congratulated, namely Russia and Turkey, senior administration officials told reporters that the humanitarian scale of this crisis differentiates it. "We have never seen a country as wealthy in terms of natural resources and human capital driven into such an economic death spiral so quickly by such a small group of individuals determined to enrich themselves at the expense of millions of people," a senior administration official said. Officials also outlined how the Maduro regime is using hunger as a weapon by parceling food and during the election, awarding food and small change to those who "voted" for Maduro. An official compared the humanitarian crisis and the exodus of migrants to Colombia as parallel to the situation in Syria. As world leaders rushed to condemn the election, Vice President Mike Pence asserted that it had been "neither free nor fair." He called it a "fake process" whose result was illegitimate, calling the move to hold the election "a further blow to the proud democratic tradition of Venezuela." "America stands against dictatorship and with the people of Venezuela," Pence said. He insisted that Maduro allow humanitarian aid into the country, where widespread food shortages and hyperinflation have helped fuel the social crisis and opposition to Maduro's government. Maduro won nearly 68 percent of the votes, according to Venezuela's Election Council, with more than 92 percent of polling stations accounted for. That was a more than 40-point lead over his closest challenger, Henri Falcon. Even before the vote, the United States had urged Venezuela not to hold it and insisted that any outcome would not be considered legitimate. Turning up the diplomatic pressure, Secretary of State Mike Pompeo warned that Venezuela's government "faces isolation from the international community" until it restores democracy and holds free and transparent elections. He issued a series of allegations about how the election had been marred by government interference, including stifling of the press, a "stacked" election council, silencing of dissent and barring of major opposition parties from the election. He also accused Maduro's government of rationing food parcels "selectively" to manipulate hungry citizens' votes. "The United States stands with democratic nations in support of the Venezuelan people and will take swift economic and diplomatic actions to support the restoration of their democracy," Pompeo said in a statement. Senior administration officials said Trump's executive order would close another avenue for corruption by officials in the government, who have valued and sold off public assets in return for kickbacks. The officials said the order prohibits all transactions related to the purchase of any debt owed to the Venezuelan government by any U.S. person or anyone within the U.S. The officials said it included any debt associated with Venezuela's state oil company, PDVSA. The officials spoke on condition of anonymity in advance of a formal announcement by the White House.